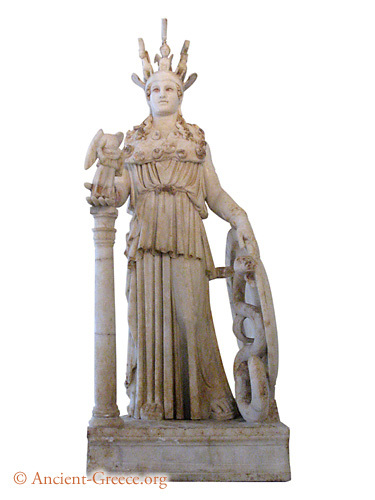 This Roman copy of Athena Parthenos is a replica of the Phydias statue that adorned the Parthenon. This copy is 1.04 m high and is made of Pentelic marble. The original statue by Phedias (that has not survived) was made of gold and ivory and was about 12 m high.